It was an exciting weekend at the recent March school break. 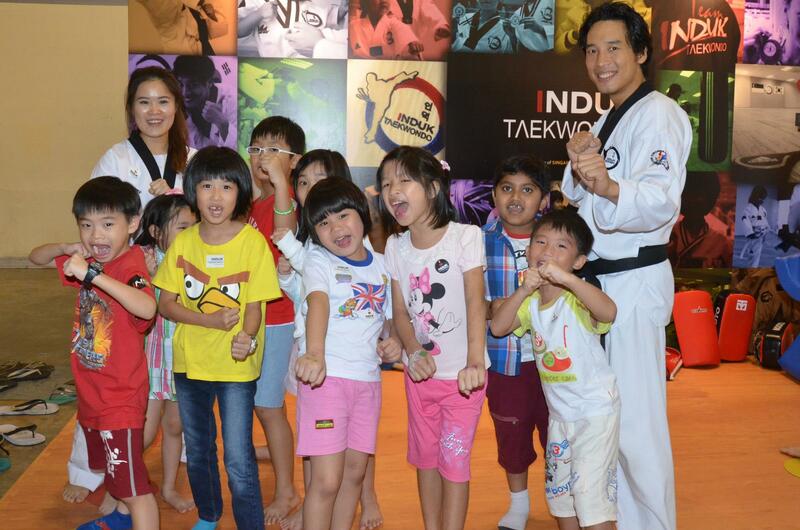 INDUK Taekwondo participated in the World's Largest Kids Fair - 'SMARTKIDS Asia 2013'. The 3-day event, saw overwhelming interest in 'taekwondo' by many young visitors. Our coaches - Mr. Jang and Mr. Suren, were on-site to conduct trial sessions at our booth which was constantly packed. Our students were also at hand to peek interest with their Poomsae and target kicking displays. One of the highlights was the great performances put up by the INDUK Demonstration Team on the main stage of the event. Kudos and many thanks to our coaches, students and parents who were there to lend their support during the show. Click event and demonstration to view INDUK's participation.